Solihull School is hosting a special film screening today to commemorate Holocaust Memorial Day, with Anne Frank’s stepsister and concentration camp survivor Eva Schloss attending as guest of honour. 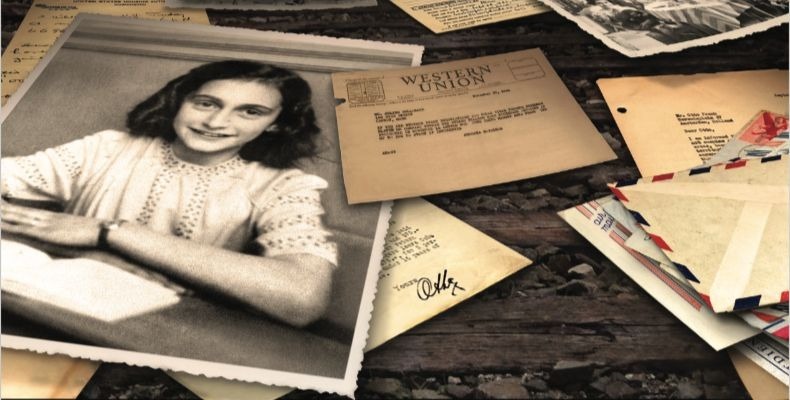 The independent school will co-host the European schools’ premiere of No Asylum: The Untold Chapter of Anne Frank’s Story in partnership with the Anne Frank Trust UK. Vienna-born Eva will tell her remarkable story at the screening, detailing how her family went into hiding in Holland after the Nazi invasion, before they were betrayed, arrested and sent to concentration camps, where her father and brother were murdered. The film, which reveals new information about the struggle Anne Frank’s family had to obtain visas and flee the Nazis, is Solihull’s second Holocaust-related premiere in two years, following the screening of Bergen-Belsen survivor Tomi Reichental’s Condemned to Remember in January 2018. Eva, 89, who was a childhood friend of Anne Frank and has written three books about her experiences of the Holocaust, is a co-founder of The Anne Frank Trust UK and was awarded an MBE for services to education in 2012. Solihull School headmaster David EJJ Lloyd said: “We are honoured to host this event as part of our ongoing commemoration of Holocaust victims and survivors. Gaining an understanding of what they endured is an important facet of life at our school. For more information on No Asylum, visit https://noasylumfilm.com.